The winners of the Smithsonian's The Art of Video Games exhibition contest are in! Regrettably, Mega Man 2, the lone representative of a series with 100+ entries that span four generations of gaming, didn't make the cut. I blame you. You weren't supposed to take me that seriously when I told you to stop loving Mega Man 2. That's a Zelda game from every era of the series' existence. 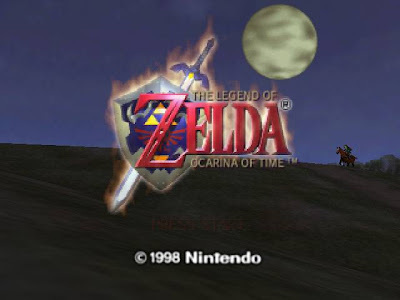 And of the six Zelda games on the ballot, only one of them--Majora's Mask--doesn't appear on the final list...because it was beaten out by The Legend of Zelda: Ocarina of Time. Zelda isn't the only series that was shown favoritism. Super Mario Bros. 3, Super Mario World, Super Mario 64, and Super Mario Galaxy 2 are all here. 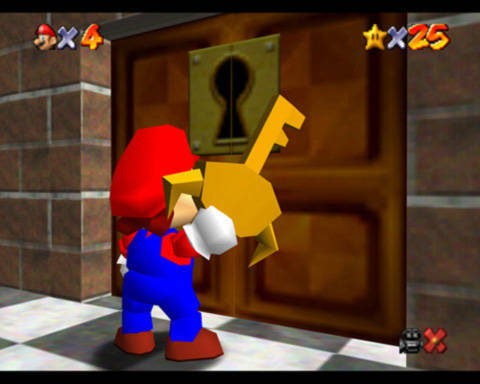 Now, only four of the six Mario games made the team...because Paper Mario and Paper Mario: The Thousand Year Door were passed over in favor of Ocarina of Time and Wind Waker, respectively. See, this rubs me the wrong way. I recognize that each of the games in the Mario and Zelda series on this list has its own artistic merit, so I'm not debating that they all belong on this list. I take issue with these games' prevalence on an exhibit that aims to "explore the 40‐year evolution of video games as an artistic medium, with a focus on striking visual effects, the creative use of new technologies, and the most influential artists and designers." Just over 11% of the entire exhibit will be dedicated to the evolution of Zelda and Mario. Good thing we're exploring video games as an artistic medium instead of a popularity contest, or else some people might get suspicious. Now, if there were a separate vote for an entire series to appear in the exhibit as a focused example of the evolution of video game art, I'd be okay with that. But thanks to oversaturation with Nintendo's two biggest titles, visitors will be missing out on the creepy monsters of the original Final Fantasy, the psychedelic backgrounds of EarthBound, the cel-shaded anime heroes of Tales of Symphonia, the fusion of traditional cartoon animation and video game art in Epic Mickey, the iconic robots of Mega Man 2, and the groundbreakingly gorgeous CG of Donkey Kong Country. This isn't the best example of "gorgeous," but I still think it's appropriate. If there's any Super Nintendo game that deserves to be in an art exhibit, it's Donkey Kong Country, not Super Mario World. 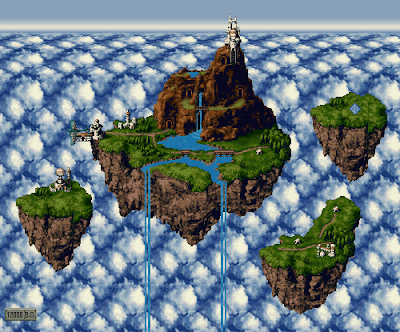 I'd also consider Akira Toriyama to be a pretty influential artist, and I'm shocked that not a single Dragon Warrior/Dragon Quest game made the preliminary list, and that his artwork in the overwhelmingly popular and very pretty Chrono Trigger wasn't enough to overtake yet another Zelda game. 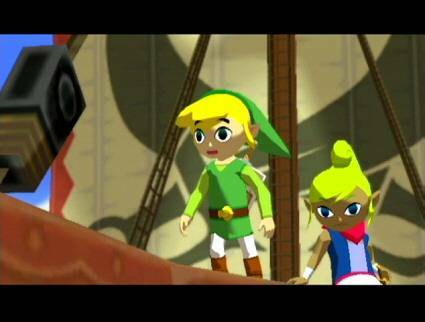 on I call phooey on Link to the Past, and it's not just because I'm not the world's biggest Zelda fan. Perhaps glitzy Triple Techs, undulating clouds, and waterfalls in the sky aren't "striking visual effects." The contest may not have been as fair as 40 years of video game art deserve, and I'm certainly not being entirely impartial myself, but I'm still very pleased with the results, and the fact that kids will now be able to strain their eyes by staring at pictures of video games in a public gallery. Great observations, and I definitely agree that for a list that focuses on the evolution of games as a whole, too much of it is taken up with Nintendo's powerhouse entries. Not that they're bad at all, quite innovative and great games in of themselves, it's just that too many _other_ evolutionary games that will never get a chance to so much as leave a "blip!" on gamers' radars were passed up in favor of them.... grr. My last name happens to be "Link", (which has been both a blessing and a curse) and ever since I was about 5 years old, 9 out of 10 times when I introduce myself, people immediately ask "Hey! Do you know Zelda, that one (or many) Nintendo game? That Link guy? Whoa?! That's like your name, dude!" And it'll usually be followed by the question "So is ZELDA your favorite video game?" ...And yet, as big of an old school video game buff as I am, they're not even close to my favorite games! They're good, certainly, but they don't quite contain all the elements I look for in the games that I enjoy. There's just something missing for me there that while I like the games, I don't find myself absolutely HAVING to play them. Not just that, but the ONLY Zelda games I've ever really played through are the 2 NES entries... Sacrilege, no? Well, at least your last name is a video game character and not a vacuum cleaner.